powerful. It’s EM and it was made for you. EMwithME- Features to keep us closer. One-on-One & Group Chats - Securely send messages and pictures to family and friends. Experience GROUP CHATS with as many friends as you want, but with the freedom to exit at any time. Take It Back - Turn back the clock with TAKE IT BACK. Ever sent a message you wish you could take back? With EM simply long press a message to delete it from the recipient’s phone for good. Learn more. EM to SMS and E-MAIL - Just because a friend doesn’t have EM doesn’t mean you can’t still chat with them. EM to SMS and E-MAIL ensures you can keep chatting with friends who aren’t even on EM yet. Share Anything and Everything - Send and receive texts, photos, video, and voice messages. Stay connected however you want. Fast Video Sharing - EM sends video messages faster, so you can smile sooner. Be exactly who you want to be with EMwithME. AKAs (Also Known As) - Don't want to give someone your EM profile? No problem, create disposable screen names to chat with safety. AKAs are perfect for dating sites, personal ads, networking and other apps like WhosHere. Learn more. Safe and Secure - To be yourself you need to feel safe. 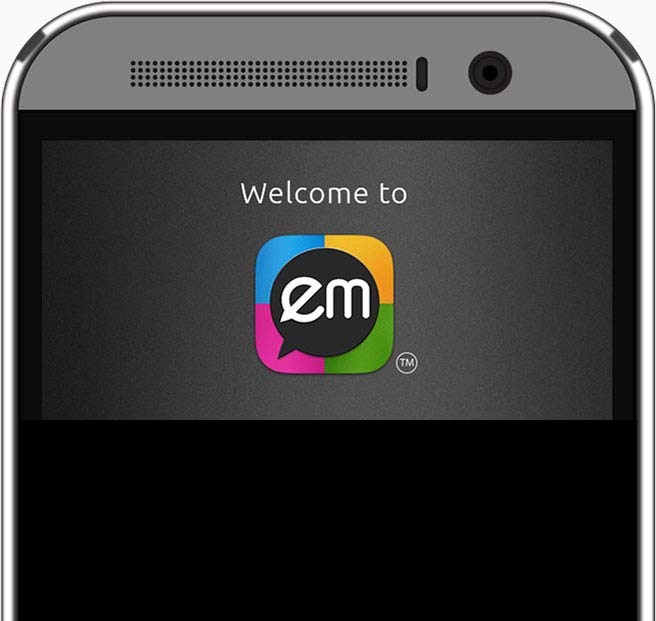 EM messages are securely encrypted on your device and in transit. Only receive messages from the people you want to by blocking with immediate effect. Now messages from their main account and any AKAs will be stopped from getting through. Embody Your Profile - Be who you want to be with your profile photo and personalized color that all your contacts will see.